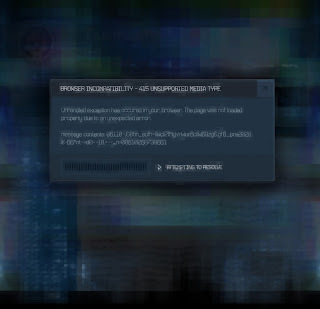 The Tagruato.jp website has been updated, so it looks like the ARG (Alternate Reality Game) for Cloverfield 3 may be underway. Tagruato is the fictional parent company to Slusho!, the frozen beverage featured prominently in the original Cloverfield ARG. * thanks to Melodyman and Yob Led for emailing about this! 04182028.com has a strange creepy warning message from the future. I think...idk. But i know something happens on april 18 or 19 in the year 2028. Probabaly an accident with the particle accelerator..... Theres also a guy with glasses in the video, is that JJ abrams or Gordon from half life wtffff??. oh lawd but itd be pretty cool though. 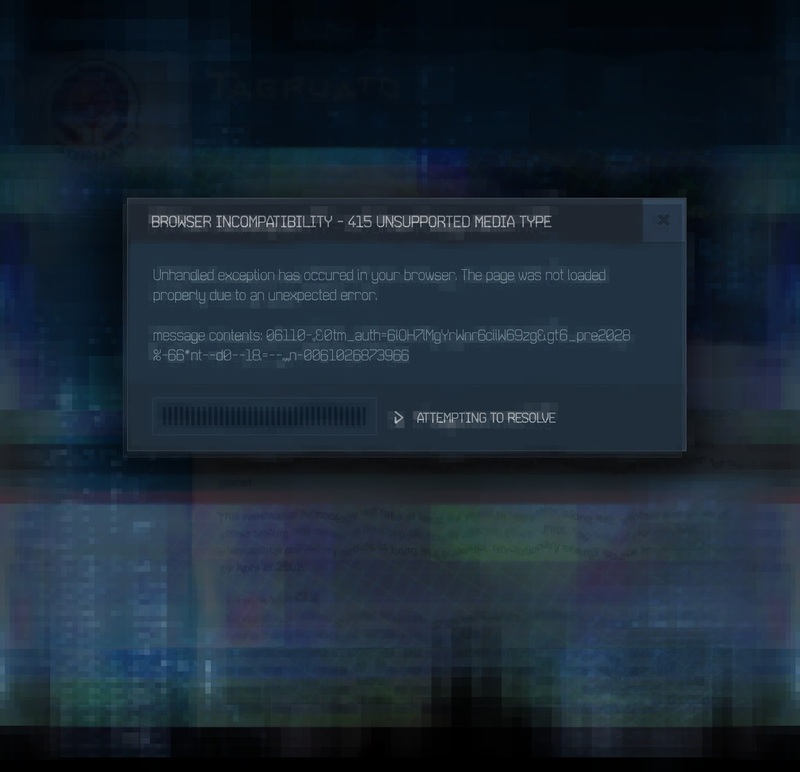 Has anyone solved the error code yet? I've been trying to decipher it using some decoders programs but with no luck. BTW, there is another website: http://04182028.com/ (the numbers are the date as Tagruato plans to finish their project). Here you can see distorted video with a person, who seems to be Annika Peltier (Employee of the Month February 2016 by Tagruato). She works for ParaFUN! The whole story could correspod with Cloverfield anthology idea: Cloverfield was Slusho, 10 Cloverfield Lane was Bold Futura, Gods Particle could be ParaFUN centered. p.s. great to see you again! Like in good old times! Has anyone tried to change the codec on the video on 04182028.com?